Over the last 30 years distracted driving has become a major source of concern for public officials and drivers alike. Whether it is cell phone usage and in-vehicle information systems or passengers, food, or cigarette usage, all non-driving activities have the potential to distract drivers from the task at hand. However, many argue that these ‘distractions’ don’t affect them or that some tasks actually improve their driving abilities. Today we have more researchers than ever who are working to settle that question once and for all. 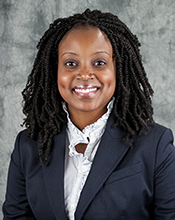 Alva O. Ferdinand, Dr.P.H., J.D., assistant professor at the Texas A&M Health Science Center School of Rural Public Health, recently conducted a study, to be published in the January issue of the American Journal of Public Health, that examined past research on distracted driving and the relationship between non-driving activities and driving performance. “People engage in distracted driving when they simultaneously operate a vehicle and participate in a non-driving activity (secondary tasks) that could divert attention away from the primary task of driving,” said Ferdinand. “The purpose of this study was to systematically review and meta-analyze the literature on the relationship between secondary tasks and driving performance. In the study entitled “Associations Between Driving Performance and Engaging in Secondary Tasks: A Systematic Review,” researchers analyzed the data from over 200 empirical articles published between the 1989 or earlier and 2012 that examined various secondary tasks such as cell phone usage, cigarette smoking, eating, or interacting with passengers and their impact on driving performance. Researchers hoped to identify whether secondary tasks negatively impact driving ability, which tasks caused the most distraction, or if some tasks are actually protective. With this study researchers hoped to close some of the gaps in the research and determine exactly what effect secondary tasks have on a drivers ability to perform. Their findings showed that despite the small percentage of studies that found that secondary tasks could improve driving performance or have no effect at all, the majority of the studies (about 80%) found a negative relationship between secondary tasks and driving performance. In addition, the study showed that cell phone usage was highly associated with decreased driving performance. Over the last several years many states and policymakers have dedicated many resources to prohibiting cell phone usage while operating a vehicle, highlighting it as a primary source of distracted driving related incidents. Findings from this study heavily support these efforts however there is a lot that is still unknown about the impact of other non-driving activities. Although research on distracted driving has significantly increased since the 1980’s there are many gaps in the research on secondary tasks and driving performance. See additional coverage about this issue at The Eagle.